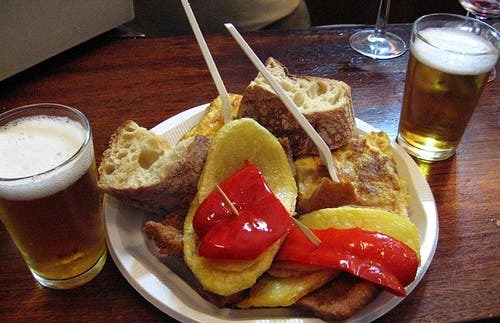 This bar is always chocker block so be patient and get ready to enjoy some good homemade cakes and snacks of all kinds for very good prices (2 rods, 2 super cakes, 2 sausage skewers with potatoes and a piece of pie = 8 €) to be in the center of A Coruña. While not a gourmet place I recommend it for its authenticity. Memories of La Bombilla bar take me back to 1984 when I was assigned to headquarters in La Coruña's old town. It was near the plaza maria pita which is why I used to frequent this tavern. I fondly remember the octopus, padron peppers and its ribeiro wine. I recommend it without hesitation.